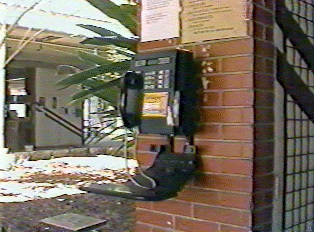 Nearly all pay phones require phone cards. Very few will accept tokens, and there are no more pay phones that accept coins. Phone cards are available in units of 10, 20, 50 or 100 minutes from vendors, the phone company or from kiosks. The accessibility and number of pay phones varies greatly depending on the area of Brazil. "How to Use a Public Pay Phone"
"How to Get a Phone Number"
"How to Place a Call through the Operator"
"How to Make a Collect Call"